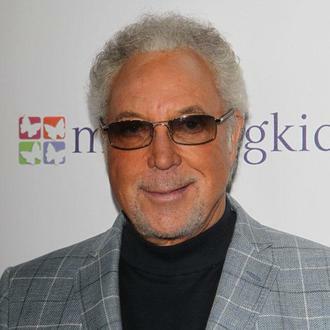 Sir Tom Jones thinks he will be playing gigs when he's 103. The 'Delilah' hitmaker is planning to perform up until 2043 according to his website, which lets fans keep tabs on live dates for the next 30 years. The tour section of the singer's official website runs for almost three decades - suggesting the star could still be playing shows beyond his 100th birthday. Fans have joked about the optimistic plan, with Twitter user @StigAbell quipping: "It's unusual." Another wasn't too convinced by the dates, seeming very sceptical of the star's ability to still be performing in 30 year's time. @Joshfarmer26 wrote: "So Tom Jones wants to do a concert tour in 2043 when he's 103. Yeah sure whatever you say mate." Meanwhile, a fan pondered Tom's longevity, wondering if he had a secret to "anti" aging. @CaldyTheSeagull added: "Tickets for Tom Jones go on sale for 2043. Crikey, has he got one of those anti age things?" While no dates are currently listed on the website, Tom has plans for a huge world tour in 2015 to celebrate 50 years since the release of his first hit single 'It's Not Unusual'. He said: "I am going to do a lot of shows in as many countries as possible. And so I want to show that I can still do it after 50 years. "I am still having as much fun now as when I started. I like to sing and, thank God, people like to hear me sing."